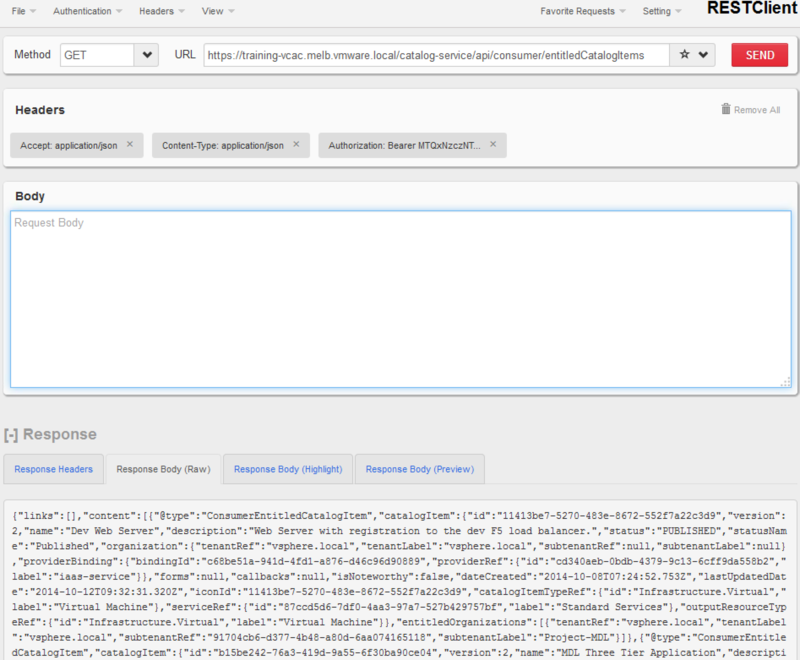 In the previous post on vRA APIs, we took a look at authentication and getting a bearer token. 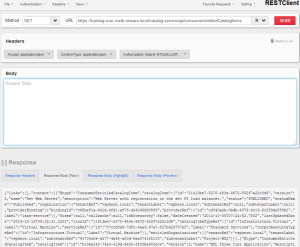 Some questions have come up for a local project around how we can enumerate the vRA catalog, and then subsequently request something via the API so here we are. "value" : "Request via the vRA consumer API"
The sharp eyed amongst you will notice an item called “provider-SNOW.RequestNumber” amongst the blob there. This is a custom property on the blueprint called SNOW.RequestNumber. Adding additional (valid) custom properties for the blueprint into the request is as simple as adding “provider-” into your request as shown in the example above. I’ll update this with my Python examples shortly.